The Apollo programme is often criticized for being more about beating the Russkies than contributing to human knowledge. But the 800lbs of moon rock they hauled back helped to cast crucial light on the origin of our nearest celestial neighbour. Before Neil Armstrong stepped on to the moon, there were several competing theories ranging from the Earth simply capturing the Moon as it wandered by to the Moon being spun out like a huge droplet when the Earth was still molten. However chemical analyses of the lunar samples sounded the death knell for most of the theories, as they revealed striking similarities with the composition of the Earth’s mantle. By the mid-1970s, a new theory was starting to emerge, in which the Moon was the product of a titanic impact between the Earth and some other planet-size body shortly after the formation of the Solar System. The impact was violent enough to gouge out a sizeable fraction of the Earth’s internal material and the resulting debris then coalesced under its own gravity into the neat and tidy ball we call the Moon. 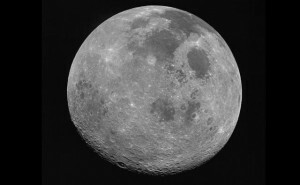 Analyses of moon-rock intimates that the Moon was formed between 4,500 and 4,520 million years ago. Working out the details, such as the likely size of the object that hit the Earth, had to wait until the advent of supercomputers powerful enough to simulate the complex effects of the impact and its aftermath. In the last few years, such simulations have led to the view that the Earth was struck by an object about the size of Mars and the resulting debris – around 30% of it from the Earth – formed the Moon some time during the first 100 million years of the Earth’s history. Studies of meteorites indicate that the planets were formed about 4,540 million years ago. 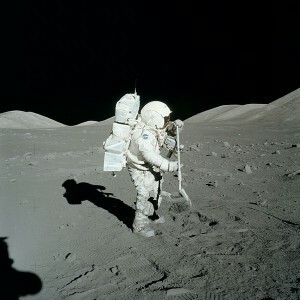 Analyses of moon-rock, meanwhile, intimate that the Moon was formed between 4,500 and 4,520 million years ago. Taken together, these suggest the Earth has been orbited by the Moon for all but around 20-40 million years of its existence.